Superdry women’s true brand rhinestone cropped hoodie. A comfy overhead hoodie featuring a cross over design at the front of the hood, with a drawstring adjuster. 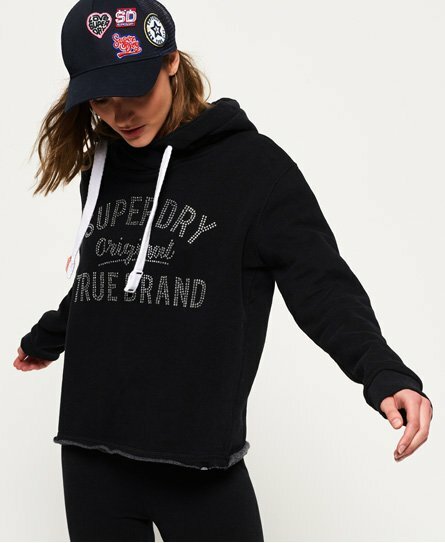 The hoodie has a large Superdry logo in rhinestones across the front; and finished with a raw edge on the hem with a Superdry logo tab.